This is honestly refreshing for me, I love the character but she gets away with so much. Like she gets a pass for every person she's killed or helped kill. 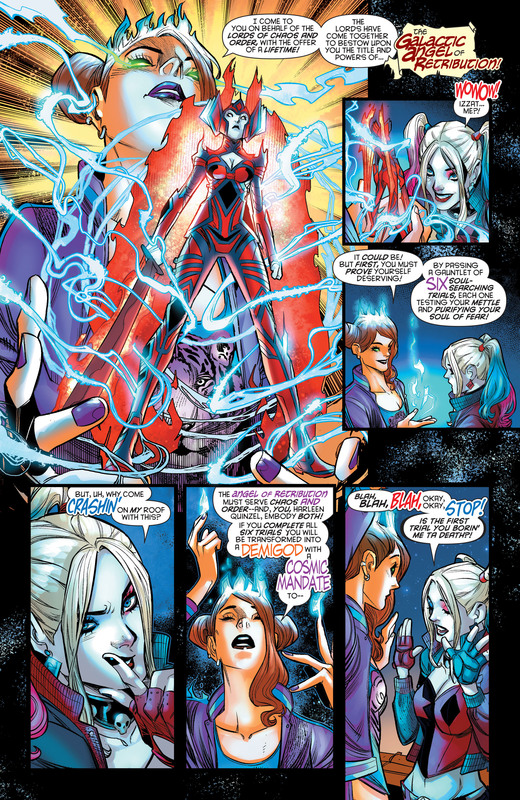 Because on the one hand, I 100% agree with you that Harley is always excused for everything she does no matter how heinous, so it is indeed refreshing to see this. 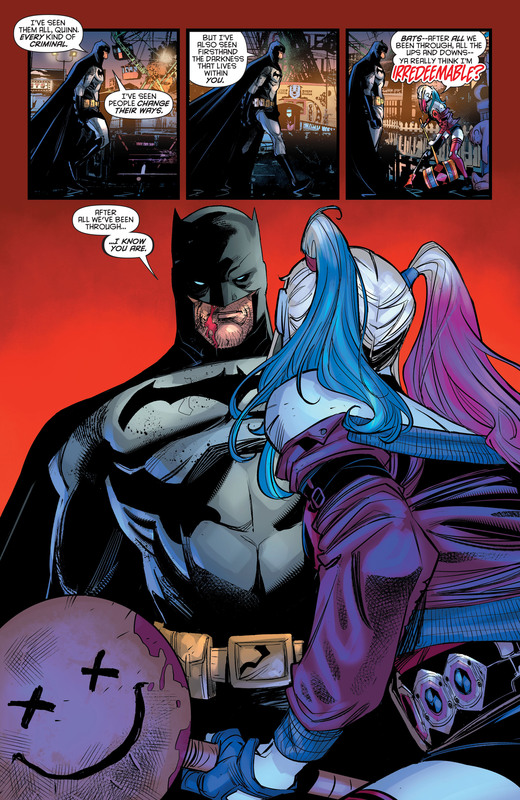 But on the other hand, I think it's incredibly OOC for Batman to be the one who says it. Traditionally, Bats has always had faith in people to the point of frankly sounding delusional to me. Which may annoy me, but it's a major part of his character, and that should be respected if you want to write him. I think the belt she's wearing is affecting the world around her. that explain his behavior considering he believed in her earlier in the series. On one hand I'm kind of annoyed at how they've been whitewashing Harley. On the other, I don't think this is really in character for Batman to just flat-out say there's no hope for someone. As in glossing over her actions as a villain. Concealing problems or issues with a person or situation. I'm wondering if this is her first trial. I wouldn't be totally surprised. It's a nice way to build character development and acknowledge her past actions. I agree, that dialogue seemed OOC to me, too. Be careful how you use whitewashing though. The definition is generally different nowadays. Eh- there is a cromulent new usage, but I certainly don't think it's incumbent upon anyone to abandon the fairly straightforward idiomatic usage. Just going from the scans here, I'm gonna guess that's not the real Batman, and this is just the first of the six. 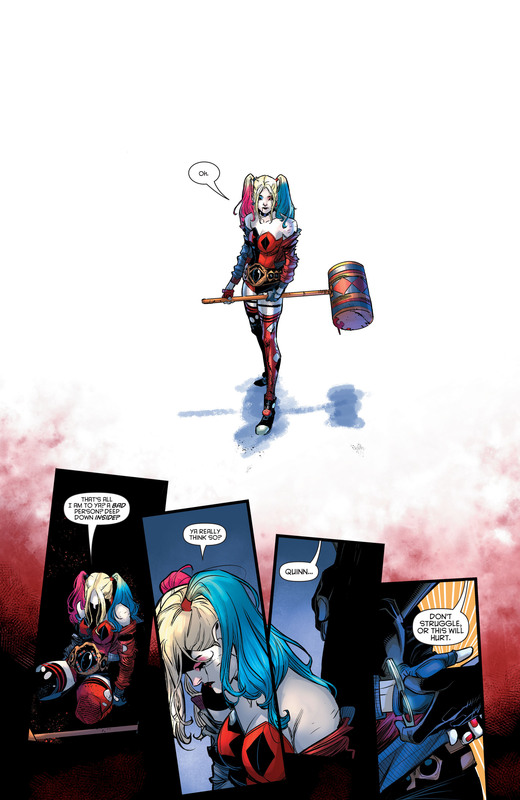 Since telling her he thought she was irredeemable immediately ended the conflict, it would be a useful lie for Batman to tell Harley, whether he believed it or not. I don't think Batman would crush an enemy's spirit, their faith in themselves to be better, just to win one fight. 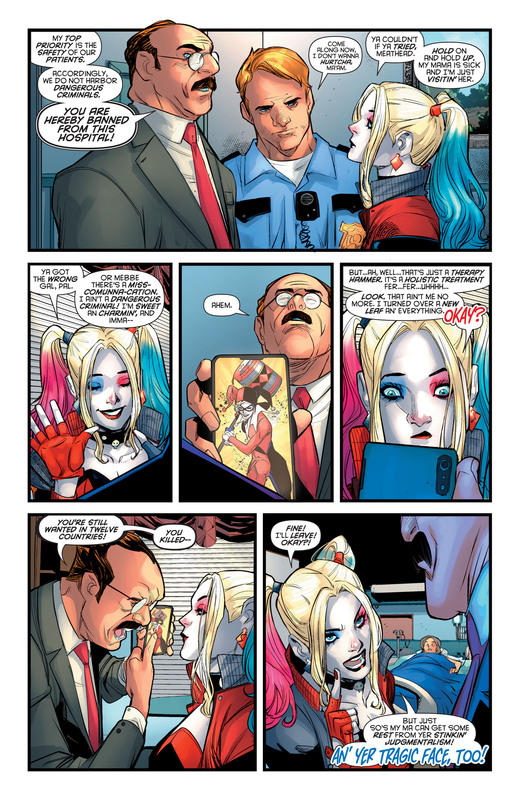 That said, I can see why Batman might feel that way about Harley. She embraced the freakin' Joker, knowing full well his crimes. When stuff like this happens, I suspect Batman wants to shout "Harvey Dent was one of MY BEST FRIENDS!"